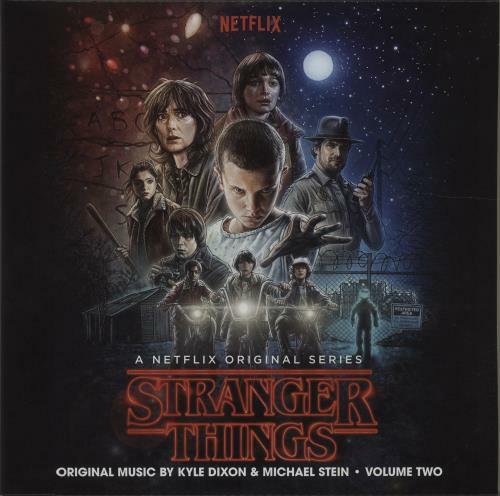 KYLE DIXON & MICHAEL STEIN Stranger Things - Volume Two (A Netflix Original Series) (2016 US 39-track Double LP set for the American science fiction-horror web television series created, written, directed and co-executive produced by the Duffer Brothers, this limited-edition set is pressed on Frosted Clear With White, Blue & Red Splatter Vinyl, within a gatefold picture sleeve with picture insert printed with credits on the reverse. 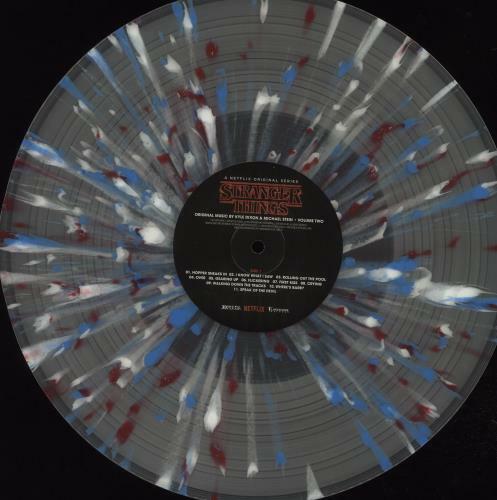 This edition was a mailorder exclusive, only available through the Invada webstore. The sleeve displays only light general wear whilst the vinyl shows little evidence of play INV177LP). C10. What Do You Know?